The featured image for this article was created by CFK Designs (cfk.designs). 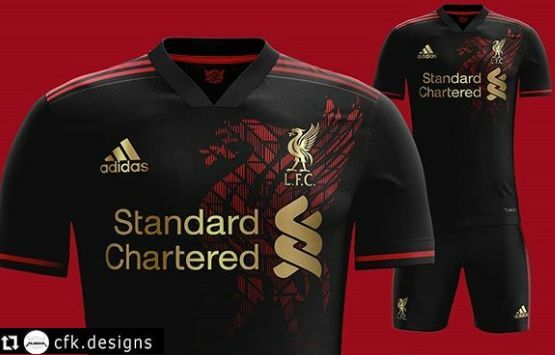 It was reported earlier this week that Liverpool are close to agreeing a new kit deal with Nike – and it’d eclipse Manchester United’s current agreement with Adidas. But it’s not just Nike that the Reds are in discussions with, the club are believed to have offered New Balance a ‘first refusal’ if they can match the accepted offer from another manufacturer. Adidas are the other juggernaut Liverpool are currently locked in talks with, as reported by the Daily Mail. The legendary three stripes graced our famous red kit between 1985 to 2012 – with there being a ten-year period when Reebok took over. Club officials believe they can hash out a new deal worth well over Man United’s own £750million agreement with Adidas. We are behind the curve when it comes to kit deals; Barcelona make an incredible £100million per year from Nike, even Manchester City have a £650million ten-year contract with Puma in place. Aside from the money, it’d be nice to have Adidas making our shirts again wouldn’t it?